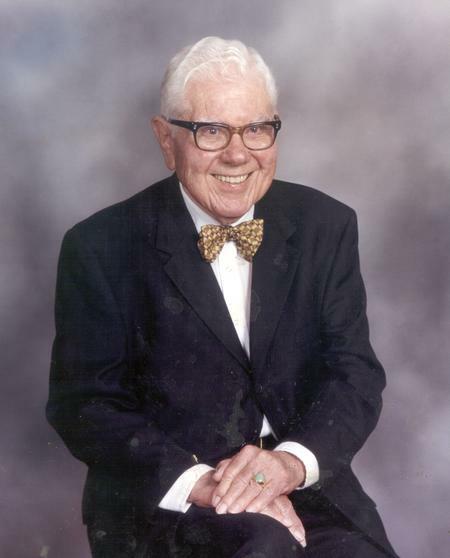 Baylor>Institute for Oral History>Our Research>Past Research Projects>For the Greater Good: Philanthropy in Waco>Cooper Family Memories>Jesse R. Milam Jr.
Jesse R. Milam Jr. was born on July 11, 1918 at 1401 Austin Avenue to Jesse Rush and Mary Lawson Cameron Milam. The family consisted of three brothers and one sister, with Milam Sr. working as a vice president with a shared interest in the M. A. Cooper & Co. grocery store. Jesse Jr. attended local schools and graduated from Waco High School in May 1934. He then attended Baylor University and later graduated with a Bachelor of Arts degree from the University of Texas at Austin in 1939. Initially intending to pursue a law degree, he was drafted in the first national draft wave on November 19, 1940 and joined the United States Army. After boot camp he applied to Officer Candidate School and was assigned to the 748th Medium Tank Battalion (Special). Every member of the battalion was cleared for top secret work, and the unit eventually worked on a secret weapon project that the British had invented - a high-intensity light mounted on a tank that would blind enemy combatants during night battles. While the weapon was never fully incorporated, the unit served with Patton's Third Army during the trek across France and into Germany. During combat he earned a Bronze Star, served in five total battles including the Battle of the Bulge and was discharged in November 1945 as a first lieutenant. Upon his return to Waco on May 11, 1946, Mr. Milam married the former Pattie Sue Clement of Waco. He was named vice president in charge of credit and collections and then president of the Cooper Grocery Company. In 1951 Mr. Milam became the majority stockholder in the company, and then after years of legal wrestling Madison Cooper Jr.'s stake in the company was sold and Mr. Milam officially became the owner and president of the new J. R. Milam Co. in 1954. He later was a CPCU and owner of Milam Insurance Agency as well as Carroll Cruises and Tours. He also worked seventeen years with Insurors of Texas. He served as a volunteer at Hillcrest Baptist Medical Center for over 20 years and was a member of the board of Powell Industries for over 30 years. Mr. Milam served his community in many capacities including as president of the Waco YMCA, local chairman of the American Red Cross and president of the Baylor Waco Foundation. He was a charter member of Ridgewood Country Club, president of Hedonia Club, commodore of the Ridgewood Yacht Club and president of First Capital Corporation. He was also a 65 year member of the J. H. Gurley Lodge Number 3370, A.F. & A.M., president general of the Sons of the Republic of Texas, Knight Commander of the Knights of San Jacinto and King of the Waco Cotton Palace. Mr. Milam was also a founding member and the first commander of the Heart of Texas Chapter of the Military Order of the World Wars. Jesse Rush Milam, Jr. passed away on Tuesday, July 5, 2005. Mr. Milam was preceded in death by his wife Pattie Sue and oldest son, J. Rush Milam, III. and is survived by his son, John Madison Clement Milam, daughter, Mary Milam Wentworth, daughter-in-law Elizabeth Murphey Milam and six grandchildren. Memories of Madison Cooper Jr.
Myers Madison Cooper and his wife, Martha. Besides being in business together were there any social contacts between the families? Milam Yeah. Mr. Cooper Sr. and his wife lived at Eighteenth and Austin, where they built their home, and directly back of them—Mr. Cooper’s daughter, Lucille, married Walter Lacy, and the Lacys lived just back of the Coopers. And the Lacys had children and I was friends with all the Lacy children: Walter Jr. and Roane and Lucille, Lawrence. And as I say, Madison was the only surviving child of Mr. and Mrs. Cooper, and he was always in the background more or less and across the street from the library. He was active in the library. But I don’t recall any particular social engagements between my father and Mr. and Mrs. Cooper. They were friends. They—he worked with Mr. Cooper seven days a week for fifty years. They got along fine. Madison was never really a factor in the working of the Cooper Company until the very latest years when he formed the executive committee and was trying to take it over. Myers The Cooper family had other interests, as I understand it, maybe some real estate and other things. Is that true? Milam Well, Mr. Cooper—Madison had a big ranch, over a thousand acres of land, and he raised cattle and sold milk. And Madison—it’s in this book, all this I’m telling you. Milam And I used to ask him about it. He’d go to New York every Christmas, more or less, and stay two or three weeks in New York City. And I asked him one time, I said, “Madison, why do you go up there in New York and why do you stay two or three weeks? Why don’t you stay a month?” He said, “Well, Jesse, I go up there and I have shares in several stocks listed on the New York Stock Exchange, and I go to their annual meetings and I’ve been doing it for twenty years. They’re nice to me. They let me make motions to adjourn and motions to pay a dividend and things like that.” And I said, “Well, why do you—how do you determine how long you stay up there?” He said, “Well, I stay until I’m sick of New York City, and that’s usually about two weeks, and then I come on back to Texas.” And I have no reason to doubt that that’s exactly what he meant, exactly the way he did it. But he was a wealthy man all his life. His father had left him lots of money. He was a cautious person and his dairy was a success. And I don’t have any information to what other businesses he may have owned. Milam But my relationship with Madison—he was a little older than my brother. I had an older brother, Ben, and I knew Madison from childhood. He was considered a stuffy bachelor and rather parsimonious. There were tales of him having dates with young ladies and taking with him two apples where they could each have an apple and they’d go to the picture show. And they didn’t go to the picture show except at the early time when it was cheaper. And then they’d have their apples and he’d take them home. But my knowledge of Madison Cooper—I would see him weekly for many years, speak to him. Never—I was interviewed by him once or twice in his little attic cupola where he wrote his book. And when the book, Sironia, was published, many of my friends were saying, Oh, Jesse, I wonder what you are in the book? Are you the crazy one that pushed the lawnmower across the street? And we read it with great care, but there’s no mention of me in any way in the book. He was really successful with his book, of course. It was a publishing success and he sold a bunch of them—Sironia, Texas.